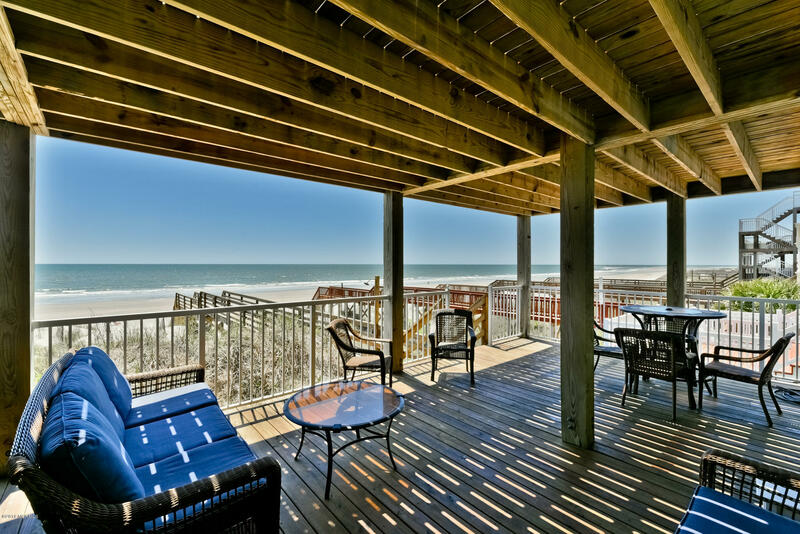 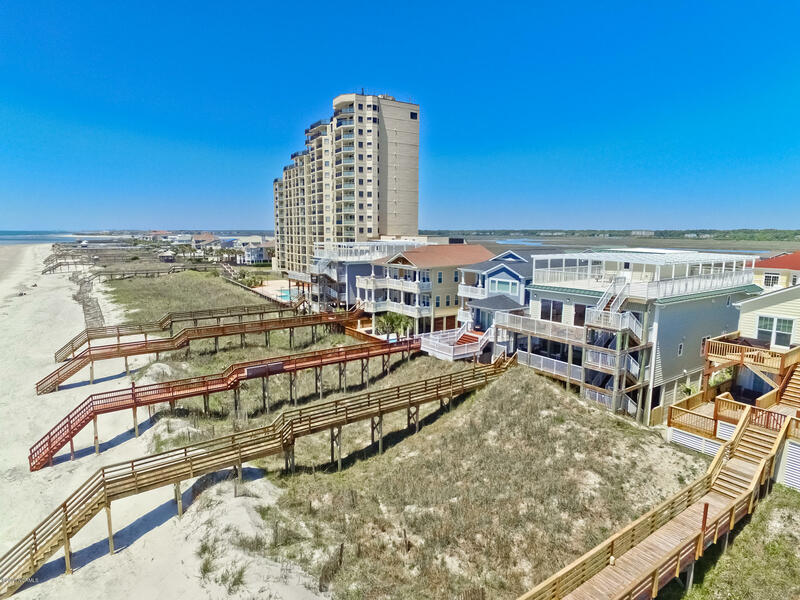 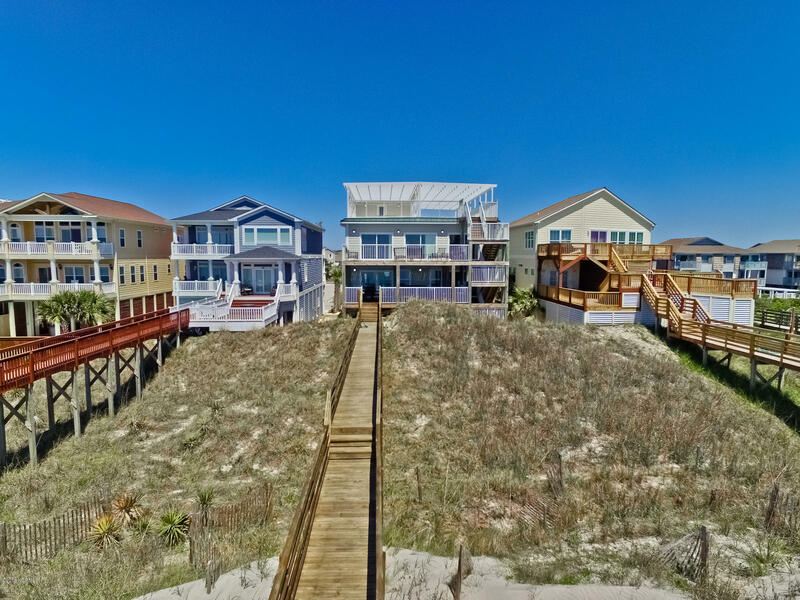 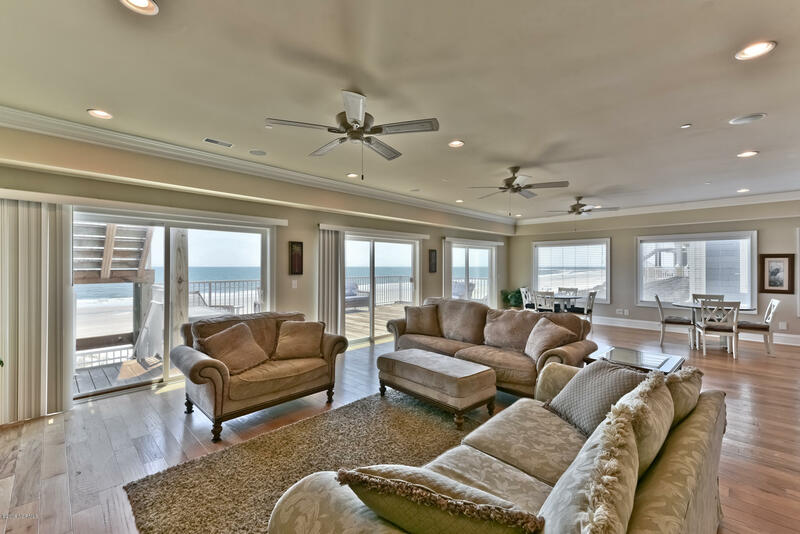 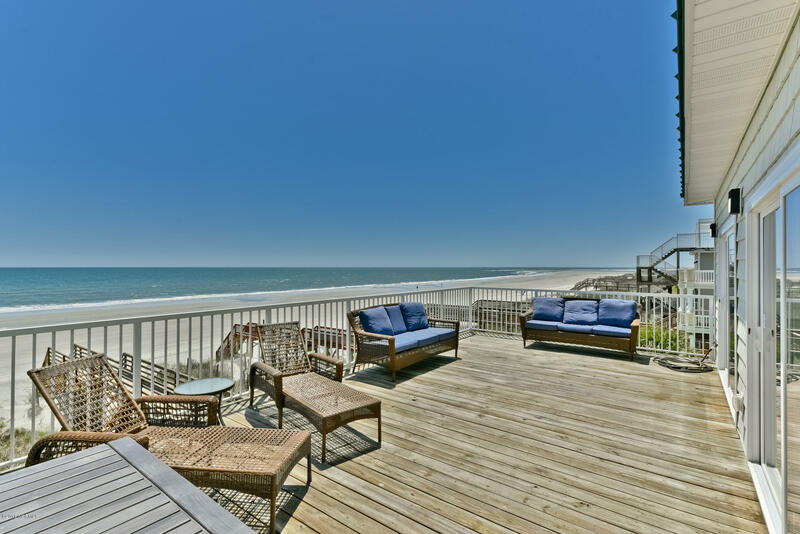 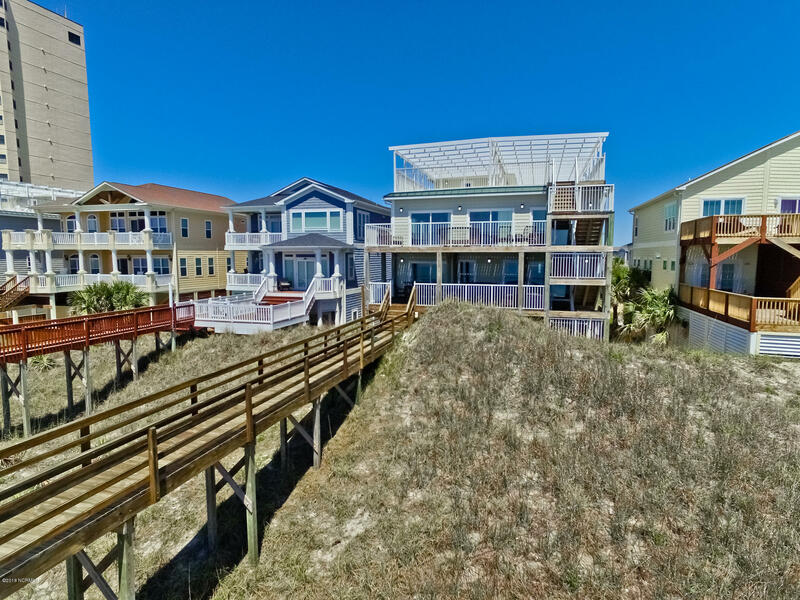 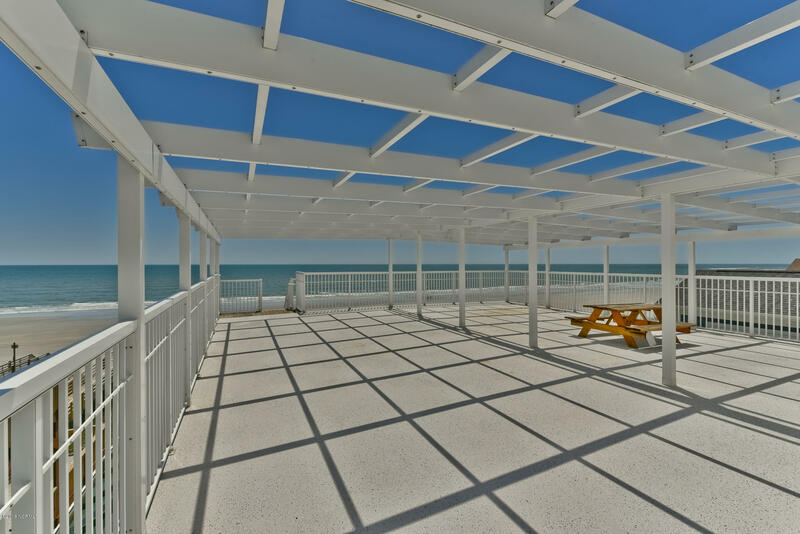 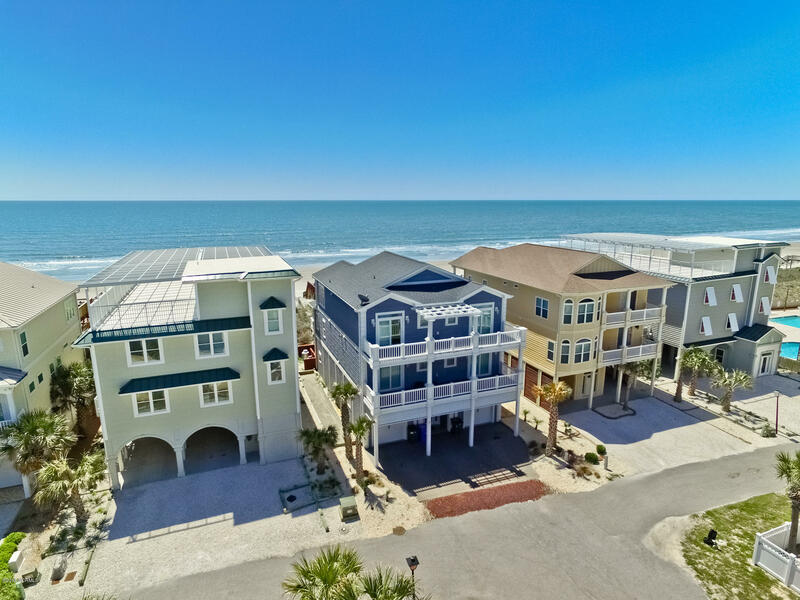 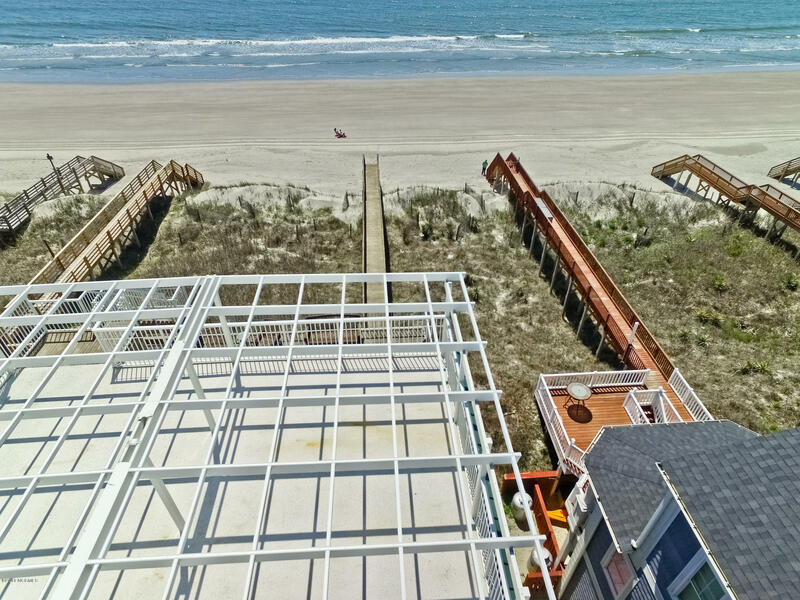 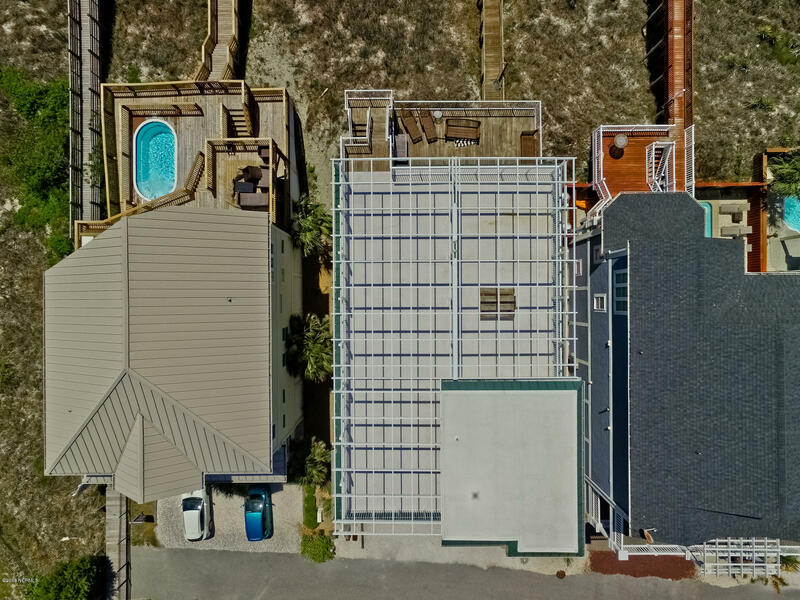 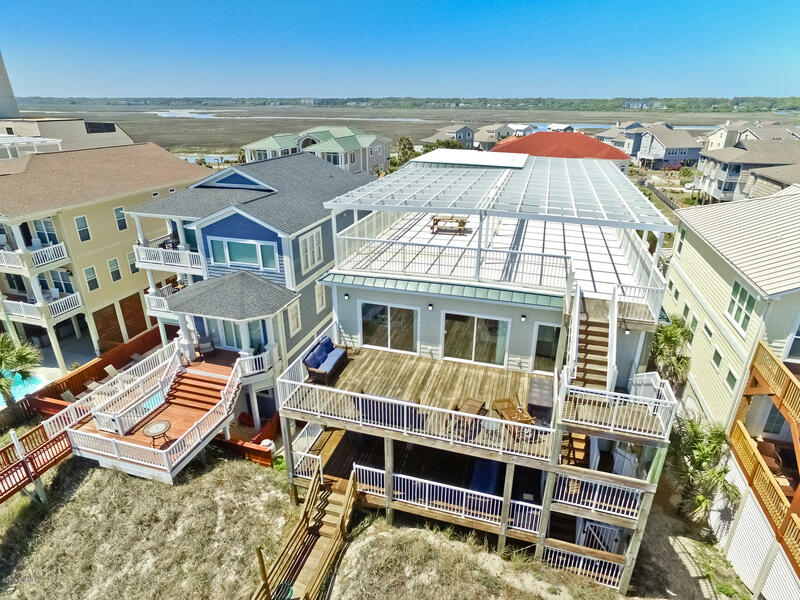 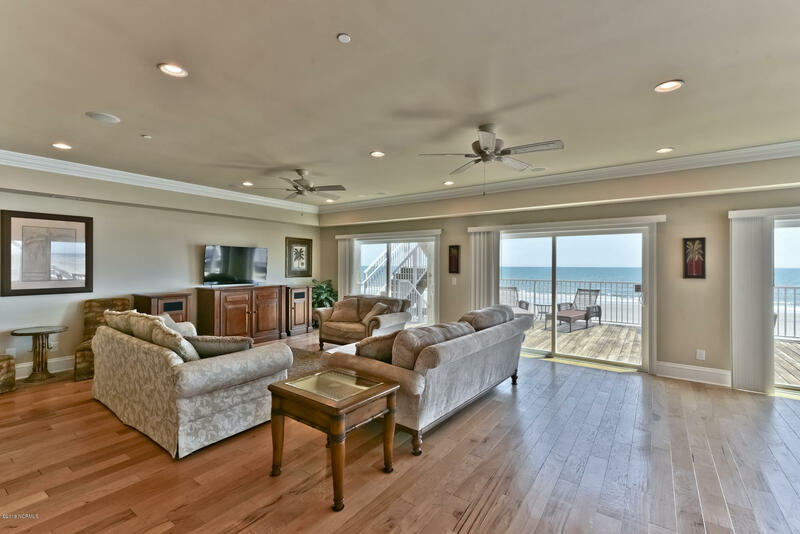 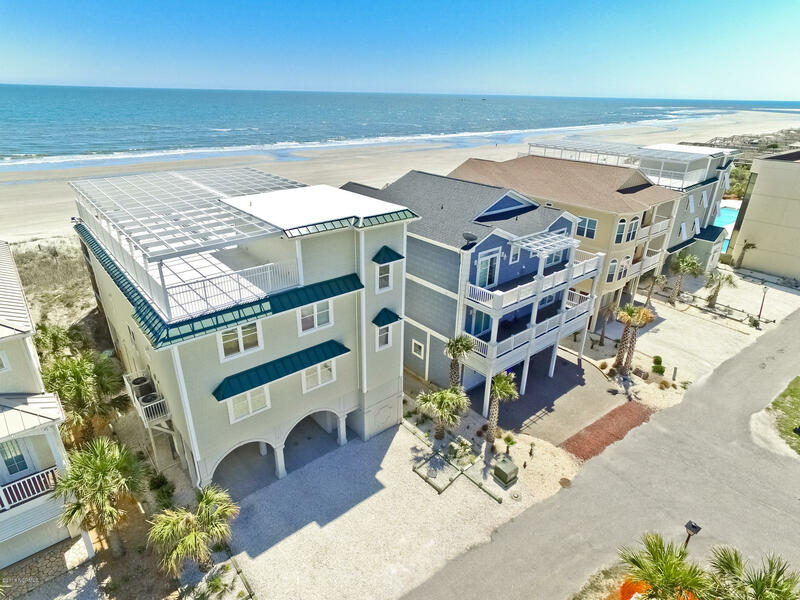 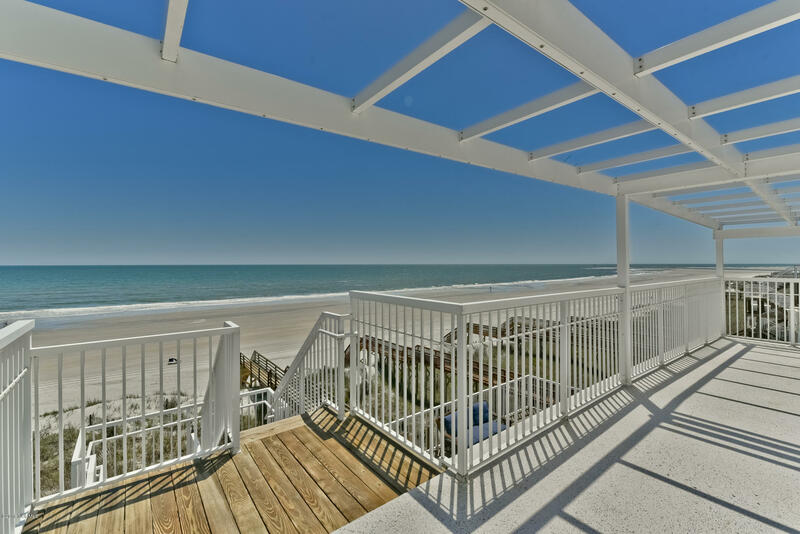 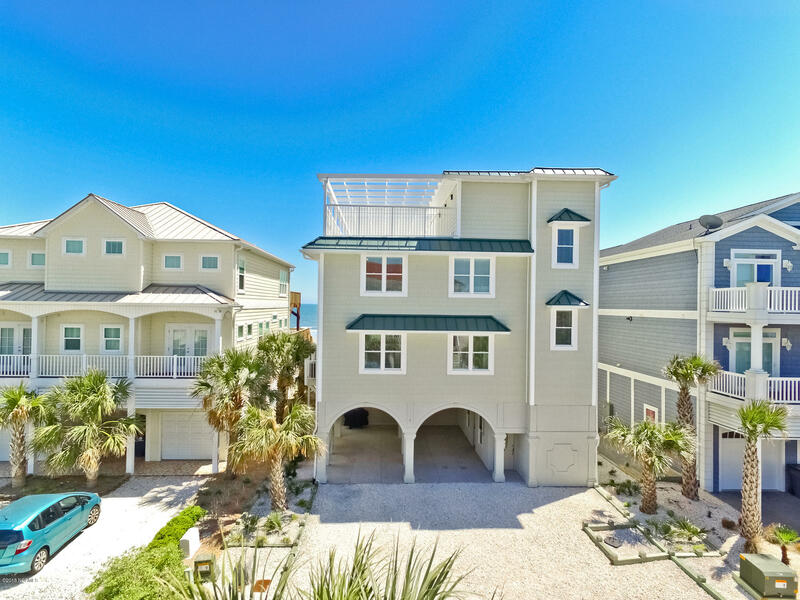 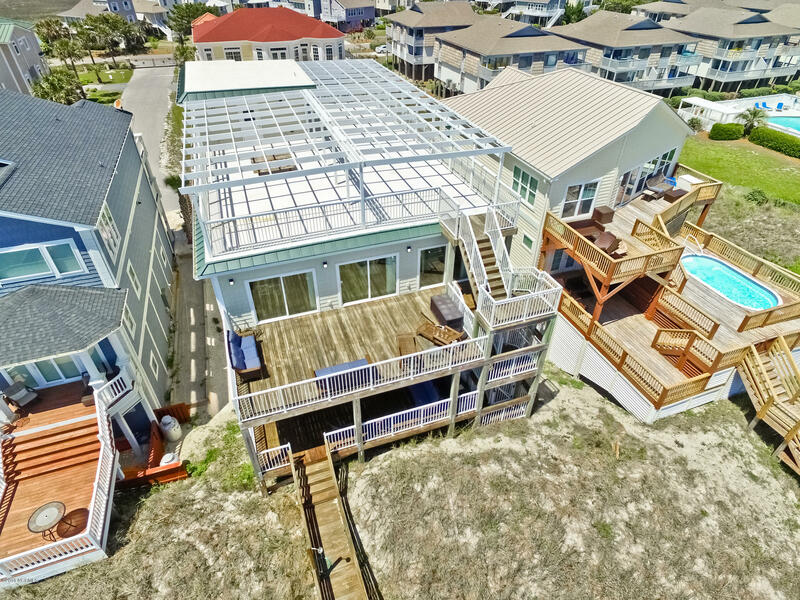 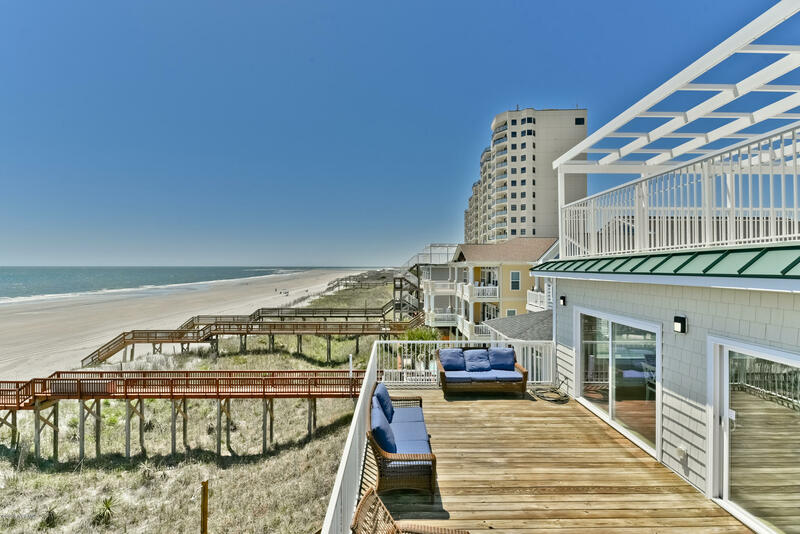 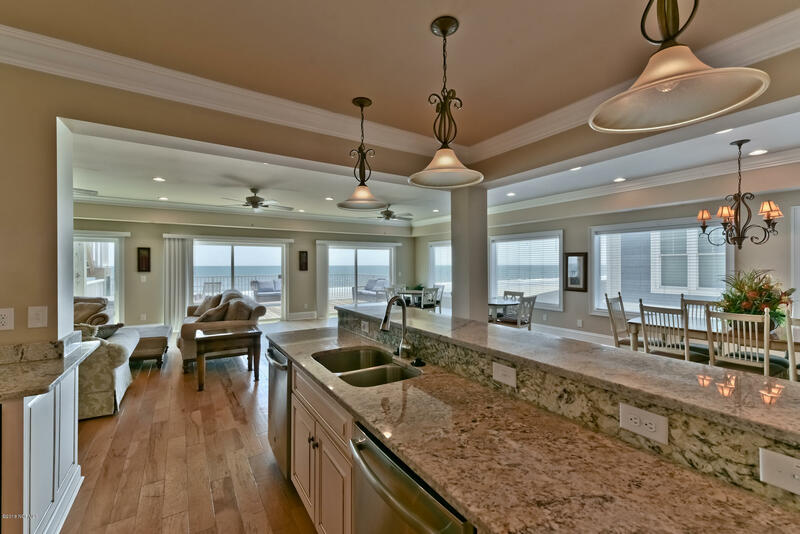 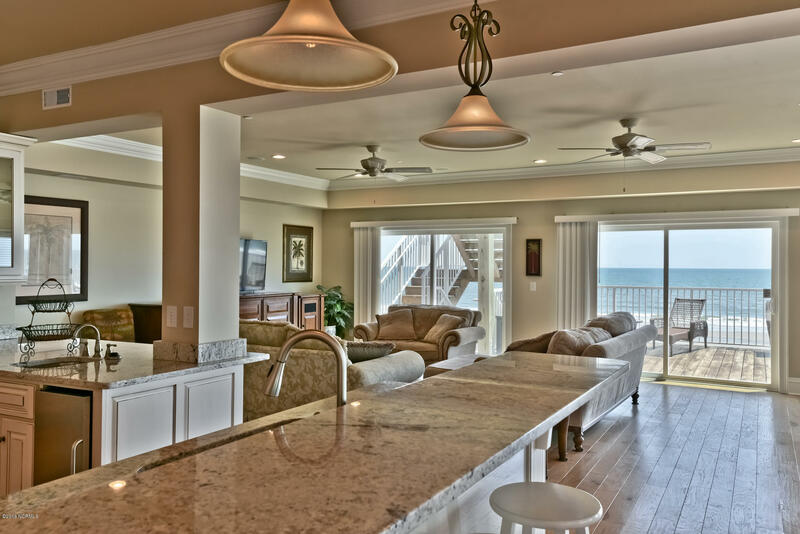 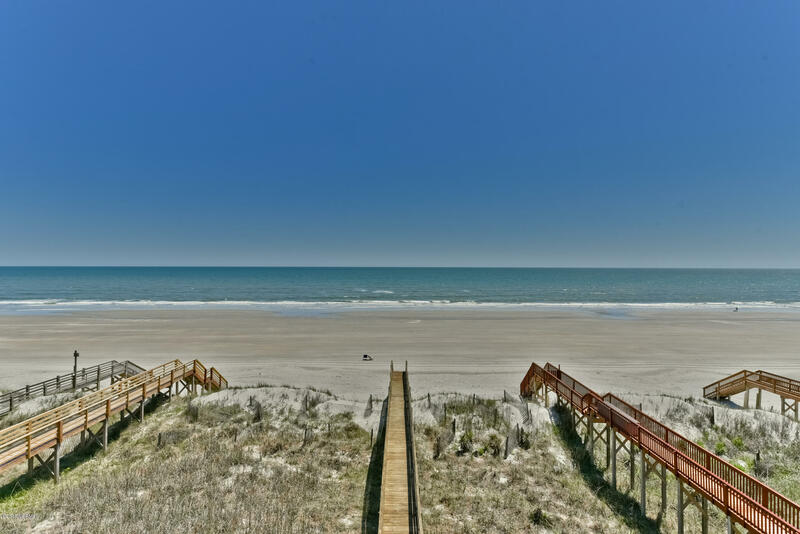 OCEANFRONT OASIS WITH ROOFTOP DECK and covered pool area offers beachfront living at its finest. 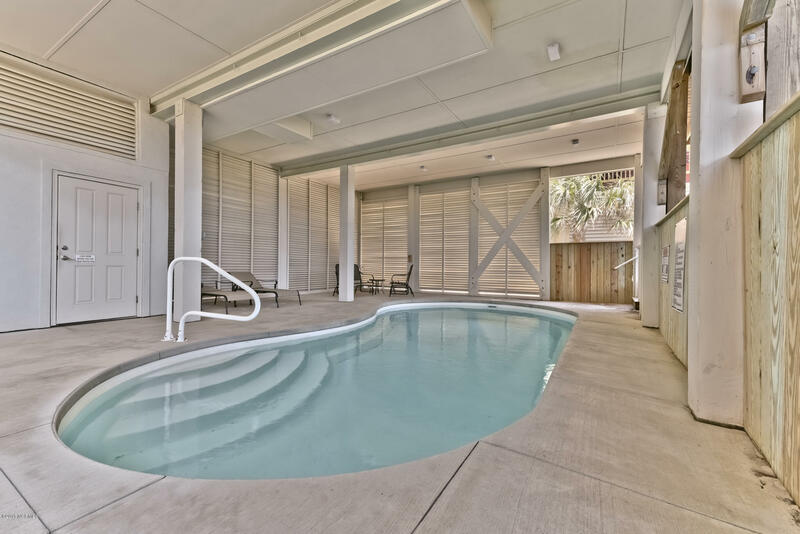 Enjoy multiple decks for relaxing or entertaining and take a dip in the heated pool nestled in a covered area for privacy. 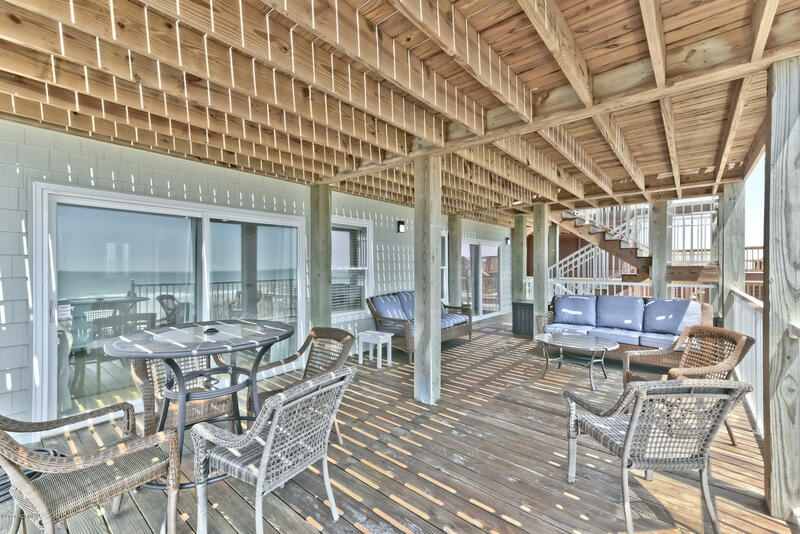 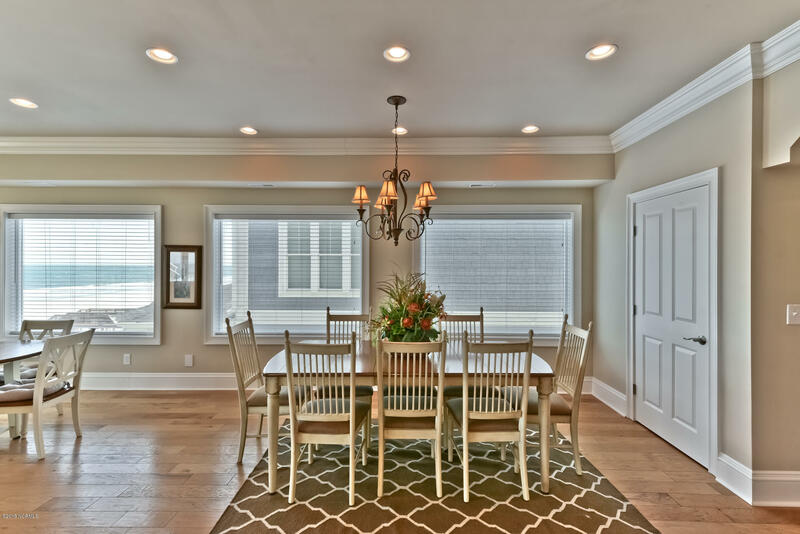 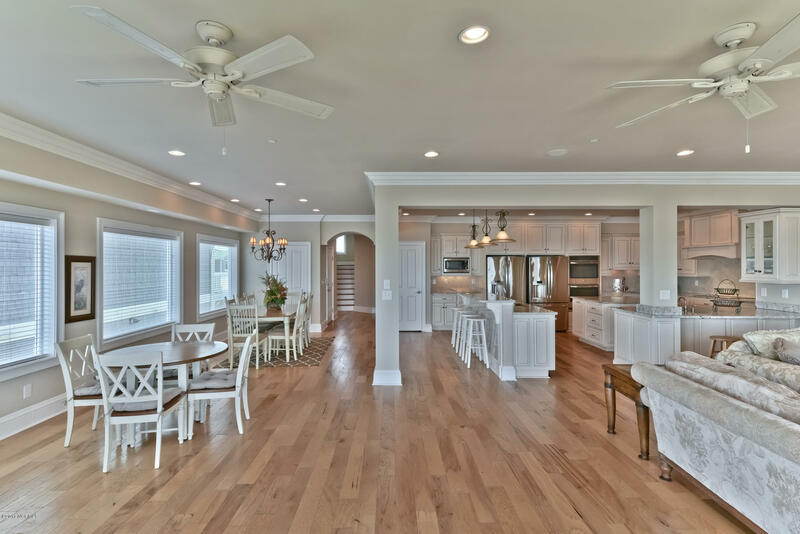 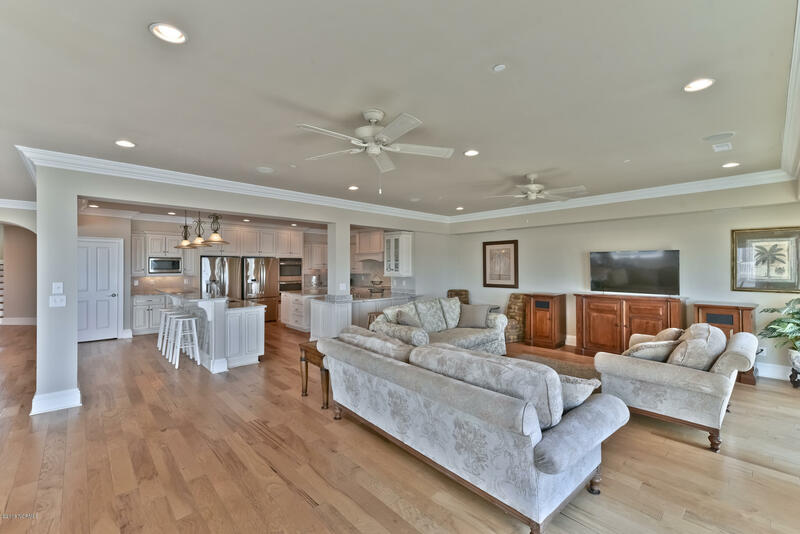 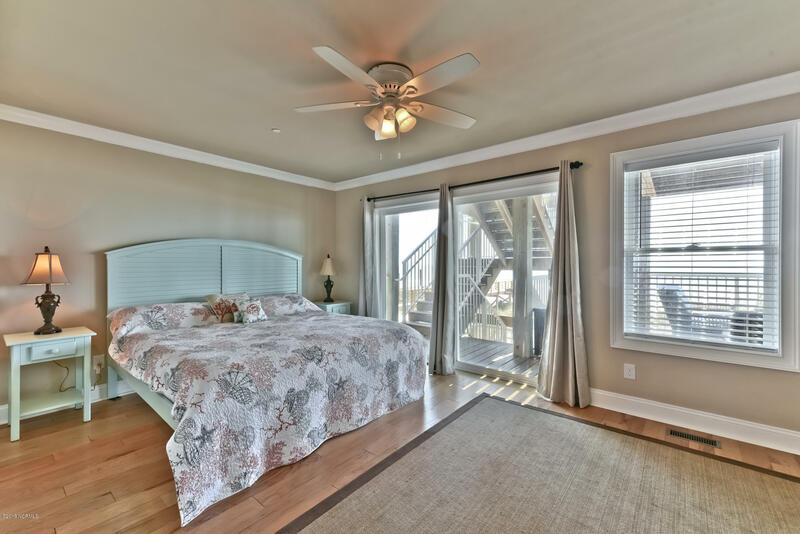 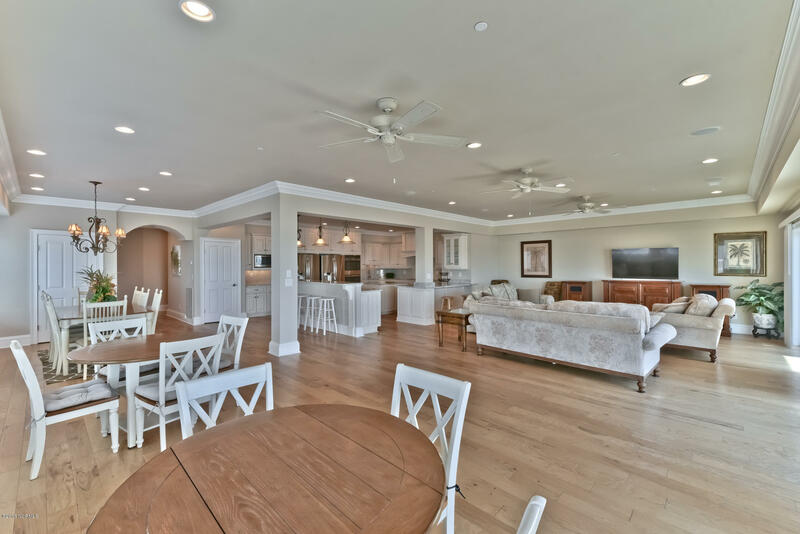 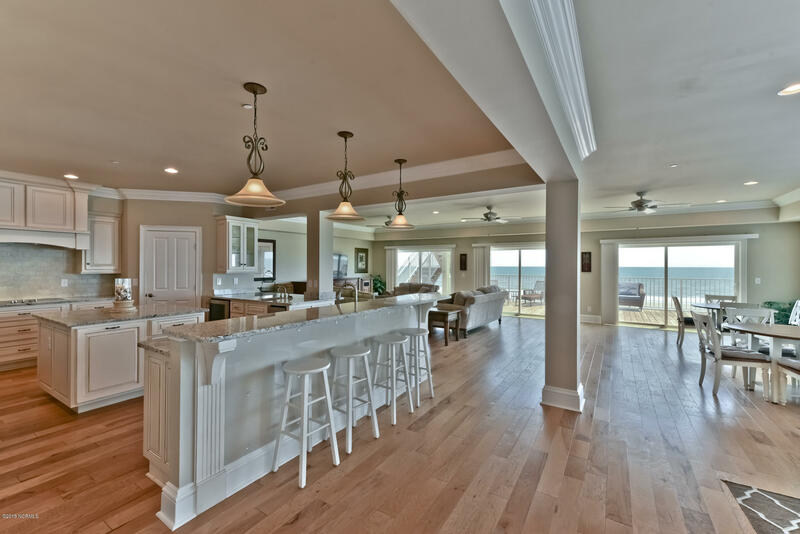 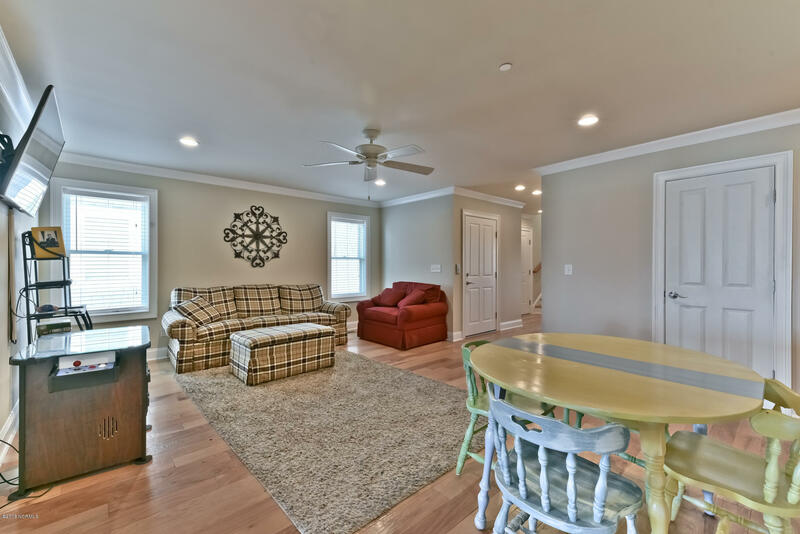 Very spacious, extensive living area with beautiful hardwood floors and great ocean views opens to an airy outdoor deck perfect for soaking up the sun or mingling. 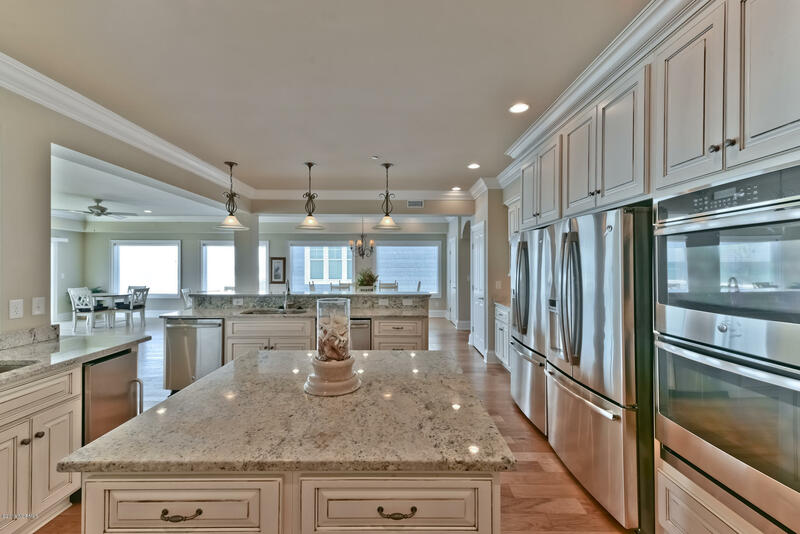 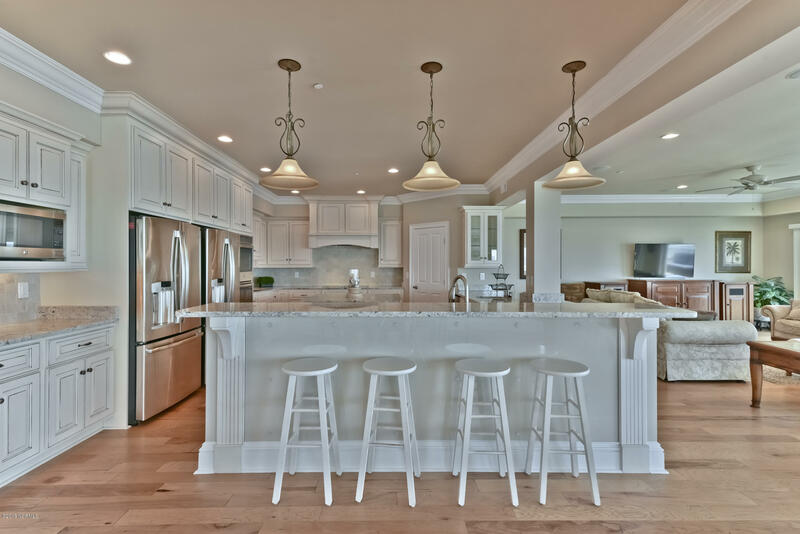 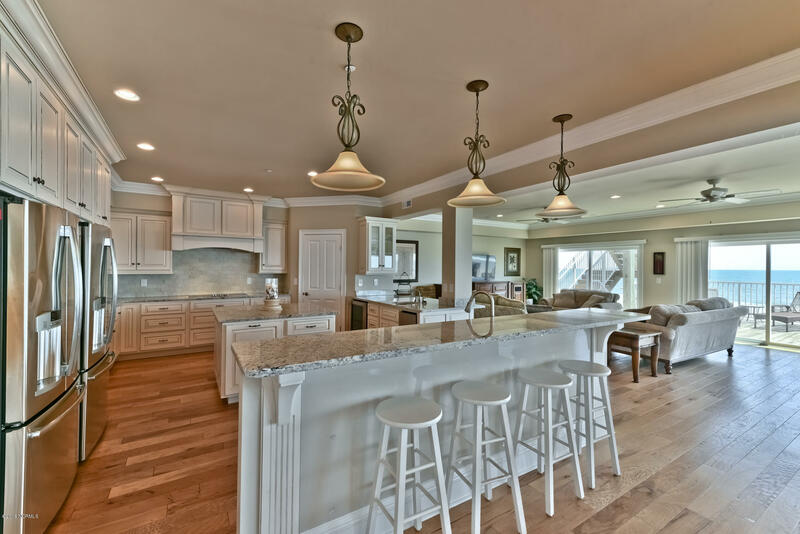 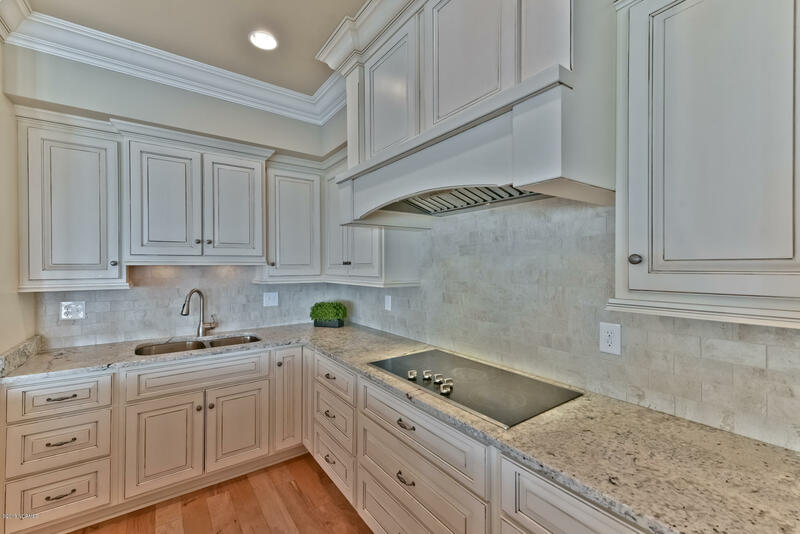 Massive kitchen has a sizable breakfast bar, wine cooler, two pantries, an abundance of cabinets and granite countertops, large island, and stainless-steel appliances, including two refrigerators, two microwaves, and two dishwashers. 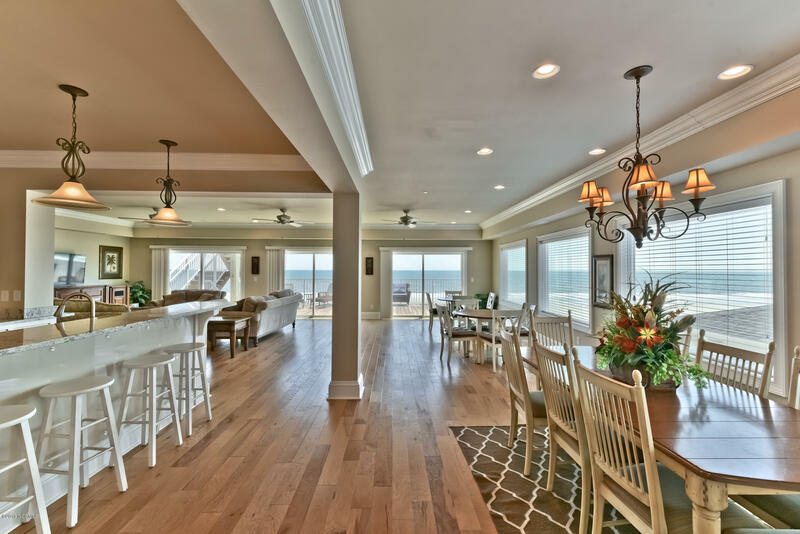 Living space also includes several areas for dining. 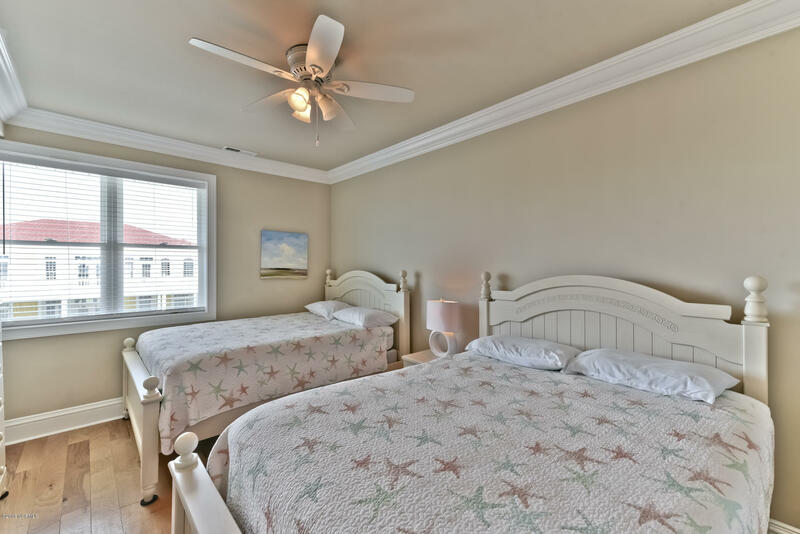 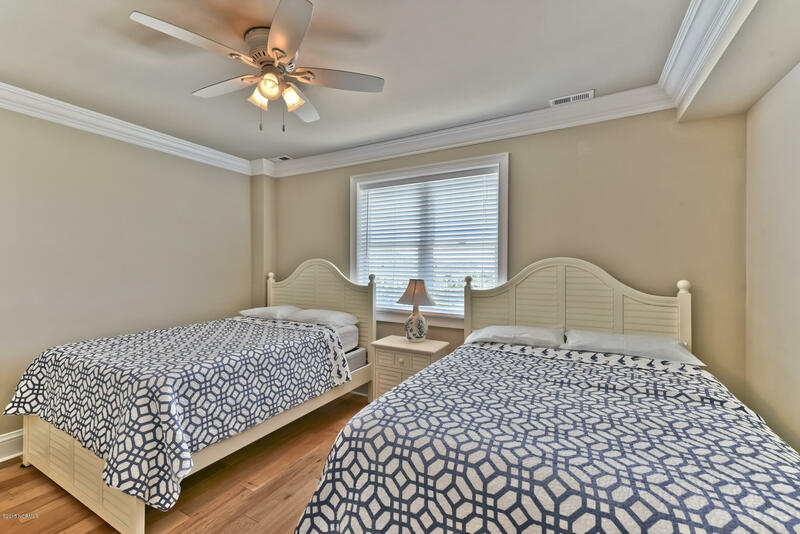 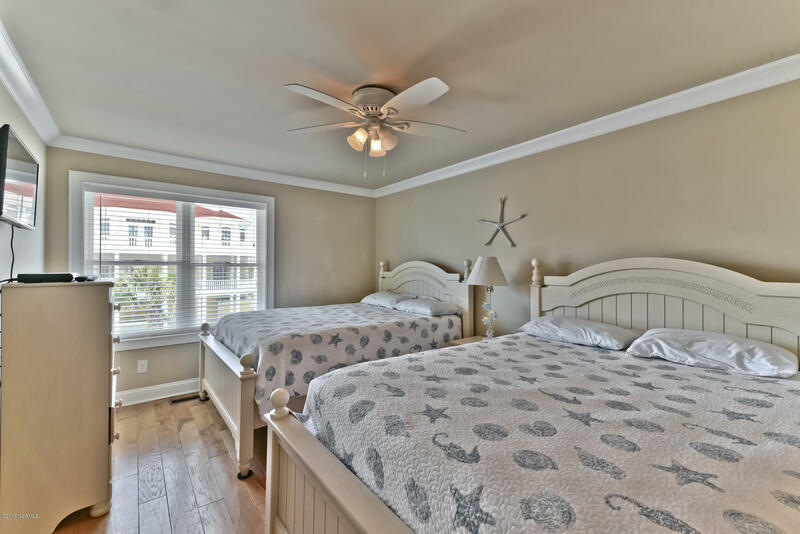 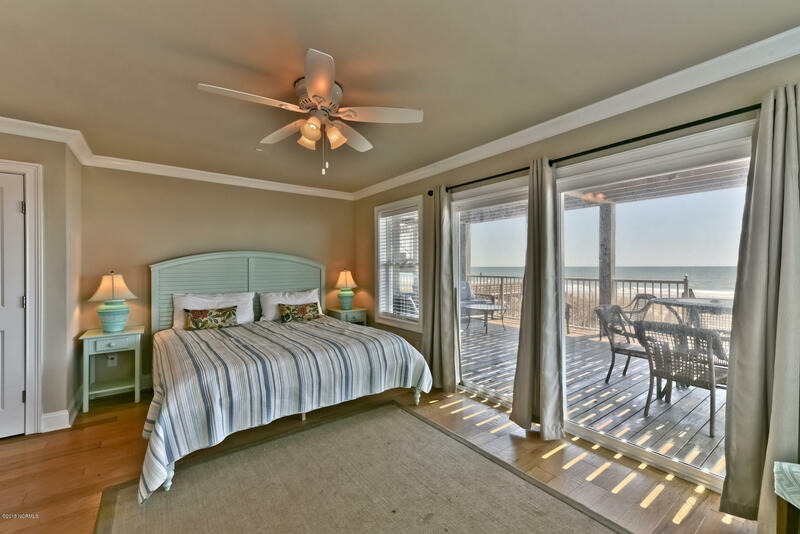 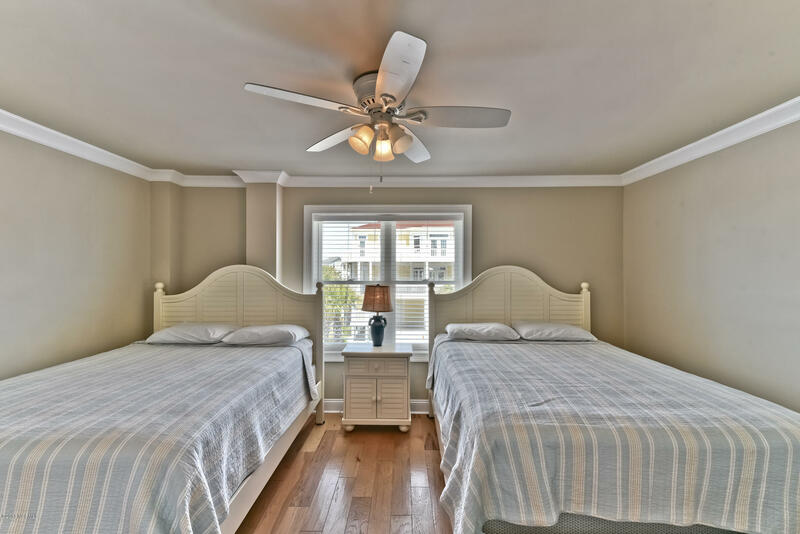 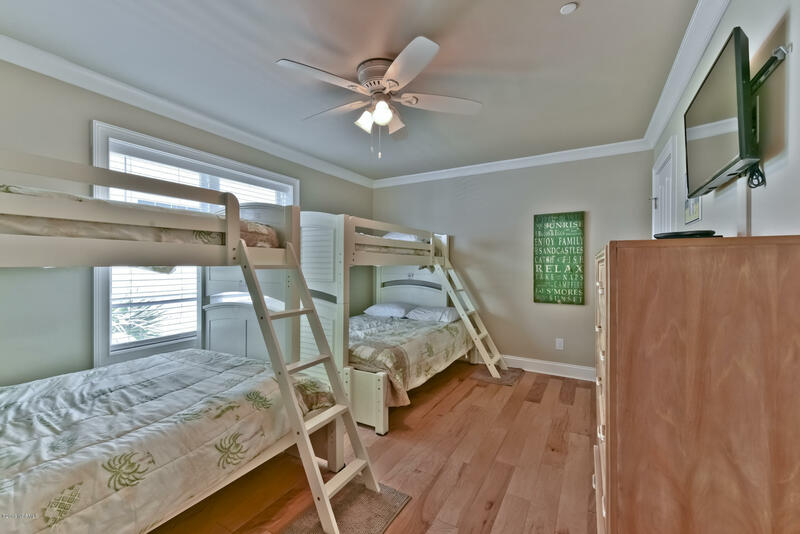 The seven bedrooms, some with ocean views, include two master suites and offer sizable accommodations and maximum sleeping space with multiple beds. 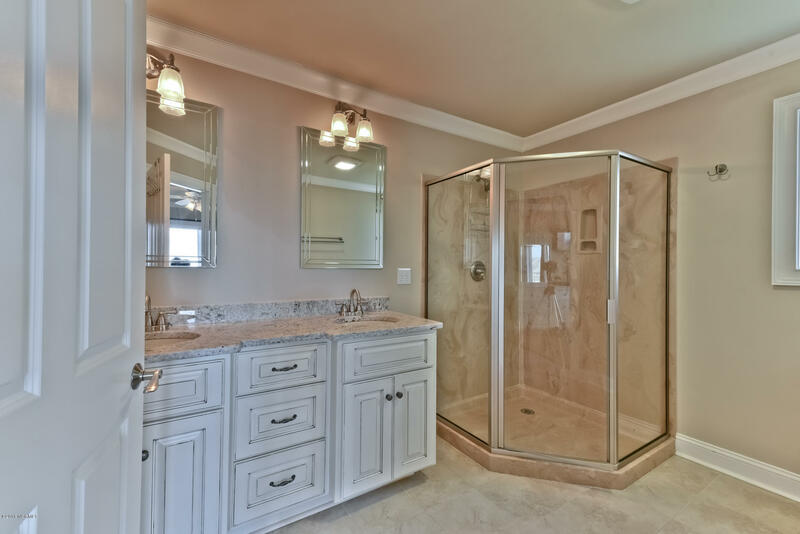 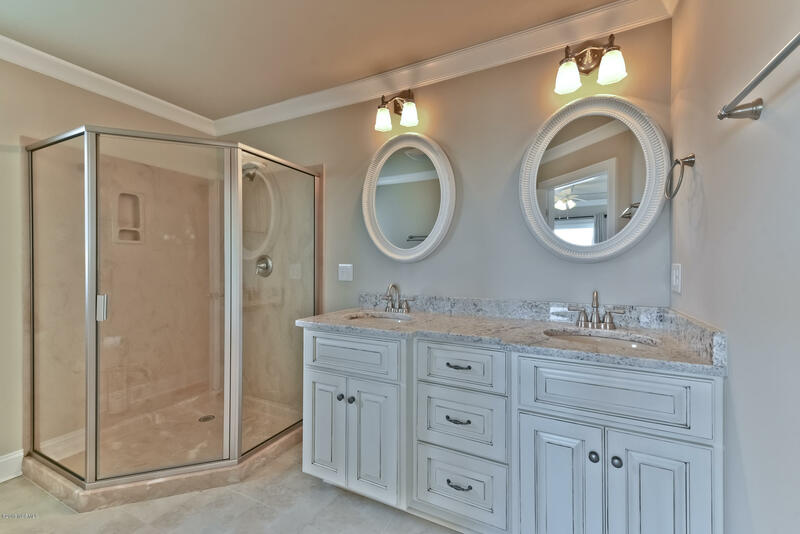 Seven bathrooms highlight luxurious granite vanities and sizable showers. 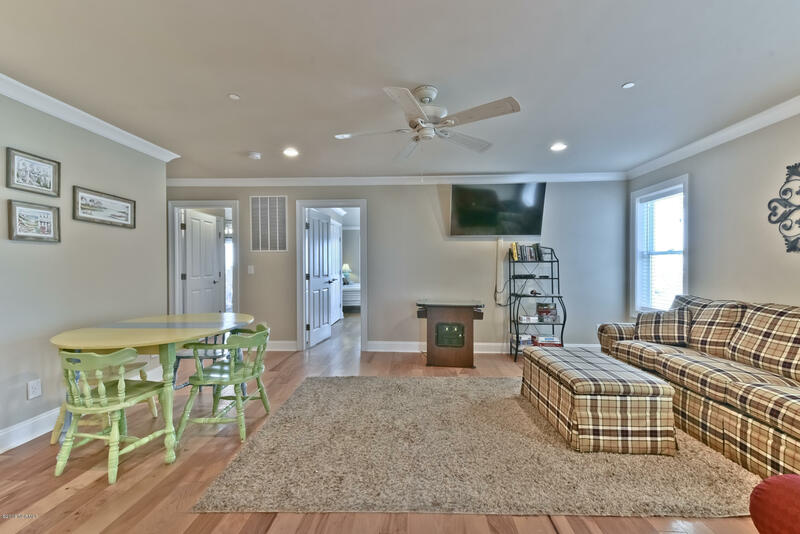 A separate living space offers a perfect alternative for teenagers, a game room or socializing. 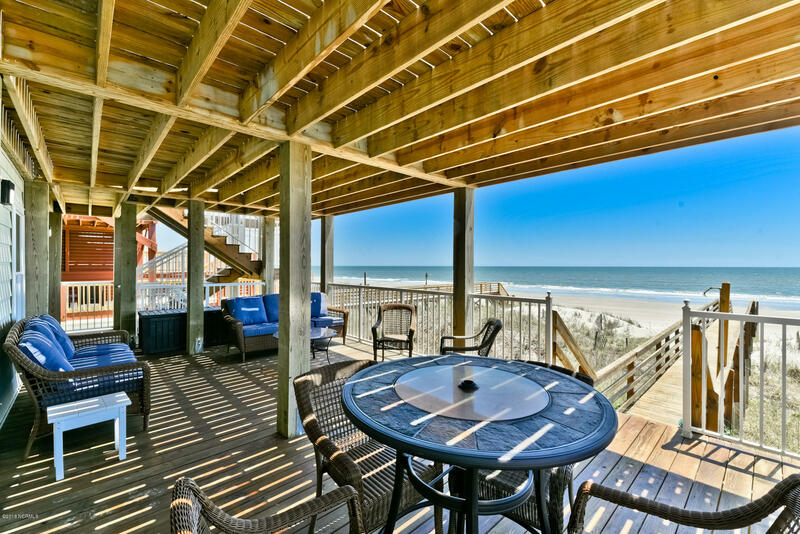 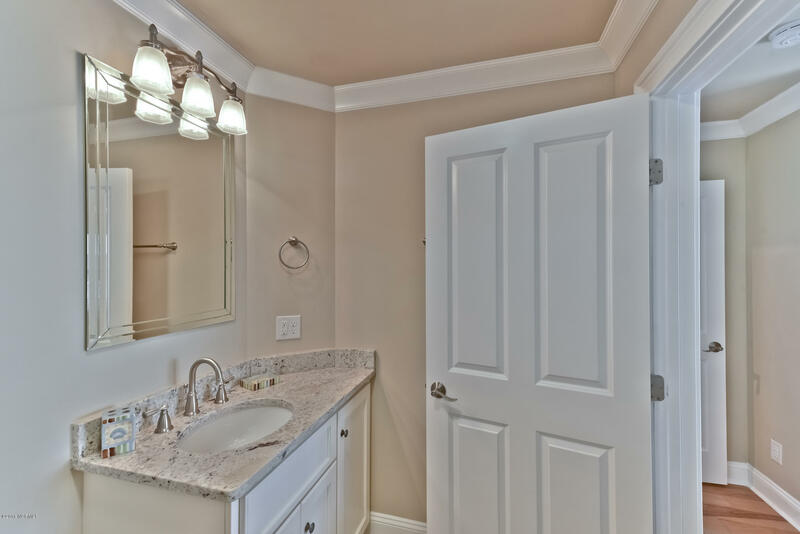 Other amenities include an elevator, two wet bars and two tank-less water heaters. 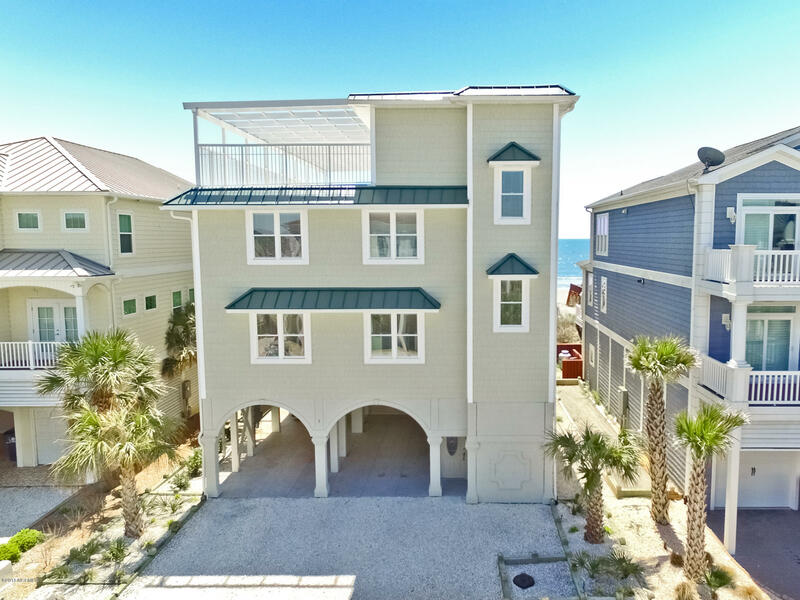 Outdoors spotlight a private beach walkway, outside shower, and covered parking. 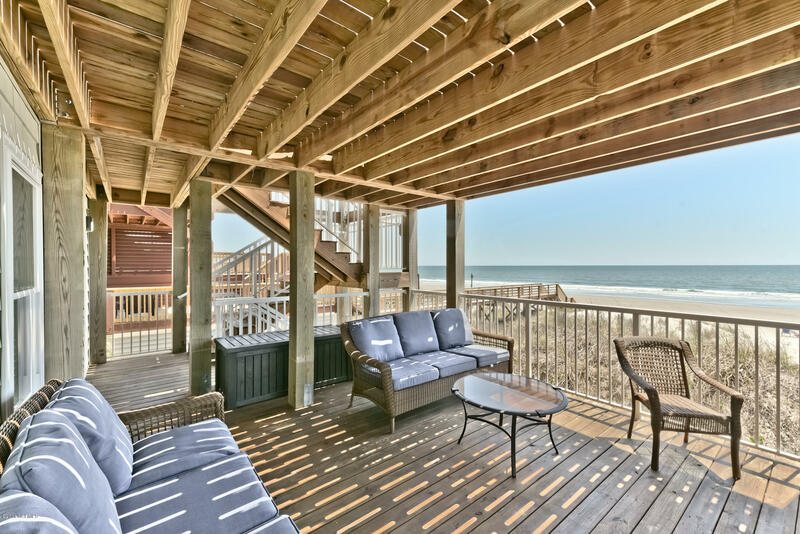 Property is perfect for large family retreats or a rental investment.